Classroom Kits There are 63 products. This item is currently not in stock, please call for availability. 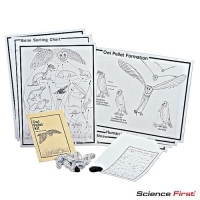 Owl Pellet Kit, Classroom pack of 15 Pellets. Using yeast to represent oxygen consuming microorganisms or animals, the effect of temperature on biological oxygen demand and dissolved oxygen in water is explored, relating this to the metabolism of an organism. Further activities investigate chemical pollution by direct poisons (lead irons) and indirect (phosphate ions) that disrupt what lives in water by favoring the growth of one type of organism. 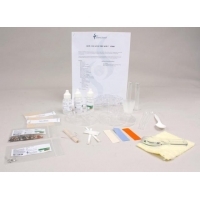 This kit is designed to teach students that the life of a cell depends upon the activity of specialized molecules called enzymes, which may be disrupted by the presence of poisons. Activities are included to permit observation of normal and abnormal conditions affecting enzyme activity. The effects of heavy metal poisons (lead and mercury ions) on enzyme activity are observed. 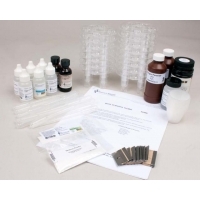 This kit encourages students' investigation into the nature of soils. 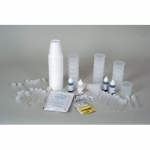 Soils are observed and characterized based on physical examination. The chemical composition is examined and the microbial community studied. 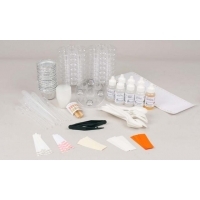 The kit is intended for a demonstration, or small groups, or several repetitions for an individual investigator and will require two 45-minute class periods. Permits students to perform chemical determinations on locally derived soils to determine percentage of water, organic content, pH, and the presence of calcium, carbonates, magnesium, phosphates, sulfates, potassium, nitrate, ammonium and iron. 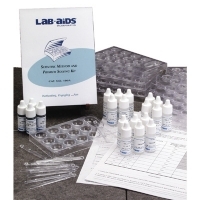 Provides an accurate profile of the chemical nature of the soil.